Home / Blog / What Is External MDF? If you’ve ever purchased furniture or been to a DIY shop, you’ll have heard of MDF. 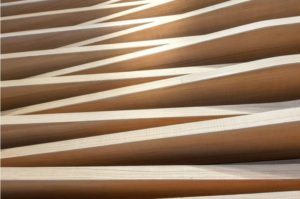 It stands for Medium Density Fibreboard, the familiar, resilient wooden material that is ubiquitous in many households, workshops and offices around the world. It is typically manufactured by exerting high heat and pressure onto softwood fibres. It’s particularly useful as it is so smooth, making it excellent for machine use, especially as it has no troublesome knots. However, conventional MDF is unsuitable for any environment that will have a high level of moisture, which is problematic when you are seeking that excellent, machine finished quality to your bathroom, kitchen, or garden house. We understand that when you build something, you want it to last. This is why our external MDF makes all the difference. Our external fibreboard is specially treated, specifically to allow you all the freedom that comes with normal MDF but none of the risks that normally come from moisture exposure, giving you the opportunity to put the perfect touches to your projects without having to pay way over the odds. If you choose to use our water resistant materials, you should feel confident knowing that what you’ve made is going to be there for years – not months. Wanted to build yourself a summerhouse, but baulked at the cost of other water resistant materials? Our External MDF gets you closer for cheaper. Wanted to add a beautiful panel to the gate, but couldn’t find a quality wood that wasn’t impractically heavy? Our moisture resistant fibreboard is lightweight, perfect to paint on, and a joy to varnish. We are also very proud to be able to offer you a choice in where your wood comes from in the supply chain. We have our conventional material of impeccable standard that comes from our usual supply chain; however, we also stock FSC quality wood as well. FSC (Forest Stewardship Council) wood is ethically sourced from responsibly managed sustainable forests, or created utilising recycled wood. We are also aware that this may not be for everyone, so please make sure to specifically request if you would like our FSC materials. Please bear in mind that when you choose to purchase any materials from Theo’s Timber Ltd, you are buying from a trusted and reliable family business, with many years of helping small tradesmen or big companies alike. We are nothing short of honoured to have served Manchester and the North West for all this time.